Do Video Games Steal Mechanics From Sports? There’s no denying that sports have had an important influence on video games. And not just in the form of sports games. Putting aside personal views and observing the correlation of sports and video games can provide us a unique insight on game design. In what ways have sports been creatively used? How can they help us better design video games? What can we possibly learn from them? Let’s take a look. First, let’s try analyzing some of the fundamentals of team-based sports. What elements do soccer, basketball, football, and hockey all share? They’re all sports played by two teams of varying size working co-operatively in order to achieve a goal which is at odds with the opposing team. At their most basic, they’re simply war condensed to a recreational game with special rule sets. Can you think of anything else that turns warfare into a recreational activity? Saying that sports emulate war may seem like a stretch, but one game does well to demonstrate the connections between sports and conflict, and and even further, videogames. Enter Blood Bowl, a turn based strategy football game where each team is comprised of Warhammer Fantasy races such as Elves, Orks, and Goblins. Blood Bowl takes what would be a standard turn based strategy rpg and instead bases it around football. The game is combat-based, meaning players have the option of making their units attack enemy units in an effort to down them and clear a path for the ball. By doing this, the designers were able to take advantage of the rules and strategy already in place with football and expand upon them by adding new mechanics. The game even offers a real time mode that mirrors more traditional football games despite the inclusion of the game’s defining mechanics.This doesn’t mean that designers should just take sports games and re-skin them to appeal to a more niche fan base though. No, instead designers should follow Blood Bowl’s example and use sports as a template of pre-existing mechanics to grow and build from. Other options of making a sports game do exist. Unlike Blood Bowl, the Mario sports games don’t excel in expanding core mechanics, but rather re-interpreting those mechanics. 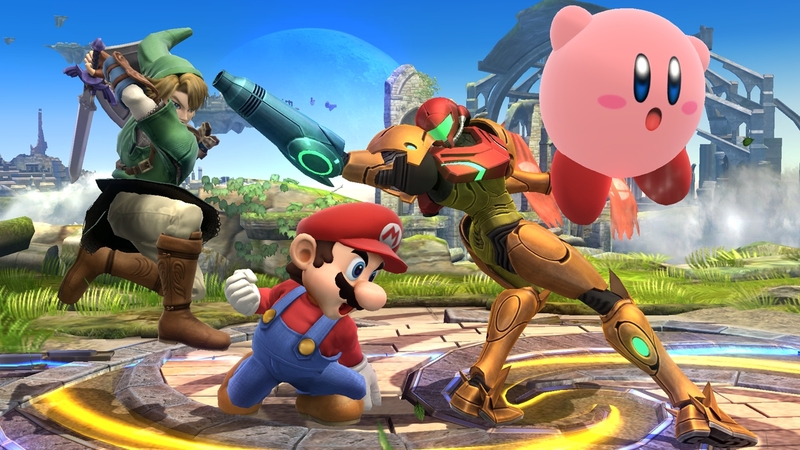 The Mario sports games more or less take the Super Smash Brothers approach to sports. 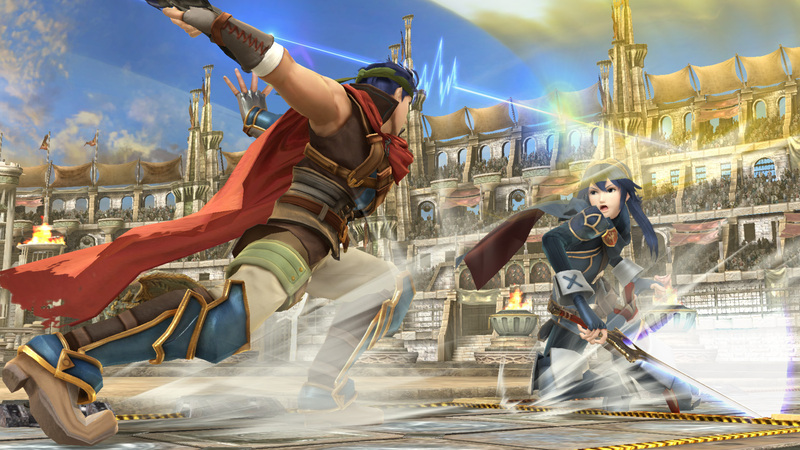 An example of one of the colorful changes is the “super move” given to each character in almost every sport. The super moves in each sport almost mimic special moves in fighting games as they not only develop character personality but also can wildly change the flow of a game. Other touches include stages that move or present obstacles forcing players to constantly adapt their tactics as they play. The games might not be as great as standard Mario platformers, but they understand that player interaction with a sports game is not realistic in any way and capitalize upon that fact. Instead of going for a realistic portrayal of sports such as in Madden, they take the basics of sports games and make use of wacky mechanics, cartoony aesthetics, and familiar characters. This divide between a realistic and stylized portrayal of sports actually reflects a larger divide between realistic and stylized art styles, one which Nintendo has coincidentally always taken the stylized approach. Games do not even need to portray sports in order to steal their mechanics. Designers are sitting atop a mountain of mechanics that surround them in sports. As long as they can separate the certain aspects of each sport that they want to use, the actual portrayal of sports becomes optional. The best example of this would be the oft-forgotten Luigi’s Mansion. It’s a game about hunting down ghosts with a vacuum, Ghostbusters style. I’m not about to argue that ghost hunting is a sport, no, the sport here is fishing. The act of capturing ghosts requires players to struggle with the C-stick in order to draw ghosts towards them, while pulling the vacuum in the opposite direction of the ghost’s movements in order to keep a firm lock on them. Because the game is set in a haunted mansion and due to the inclusion of other, more conventional mechanics, such as boss battles and elemental “spells”, the mechanics of ghost catching feel perfectly natural and not like a hackneyed fishing minigame. What are the main points we can take out of these examples and how do we learn from these? Mechanics are the core to the design of a game and sports consist of nothing but mechanics practiced and applied in real life. Instead of simply capitalizing on the fanbase of these pre designed games, designers should use them bases to build on, works to be interpreted, and tool boxes of combined mechanics. Designers should use sports as inspiration for unique works instead of a way to milk football enthusiasts every year. Perhaps most importantly, designers should be able to put aside any prejudices or preconceived notions they have about sports and those that play them for the sake of game design. Objective dissection and discovery can only happen with an open mind, so even if you dislike sports, it’s still worth giving them an honest chance. Everything, even your own views, can only grow if you just take a closer look.